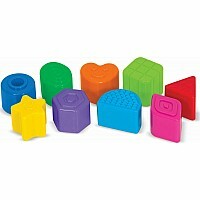 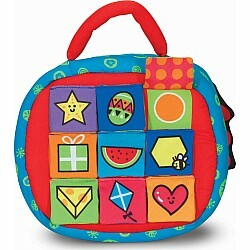 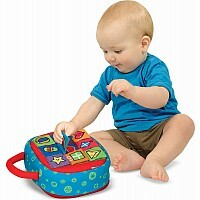 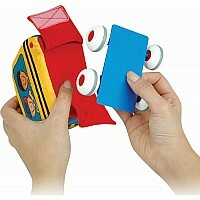 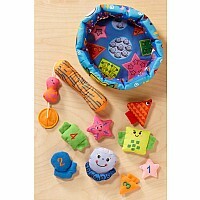 More than a shape sorter - this is an on-the-go activity center! 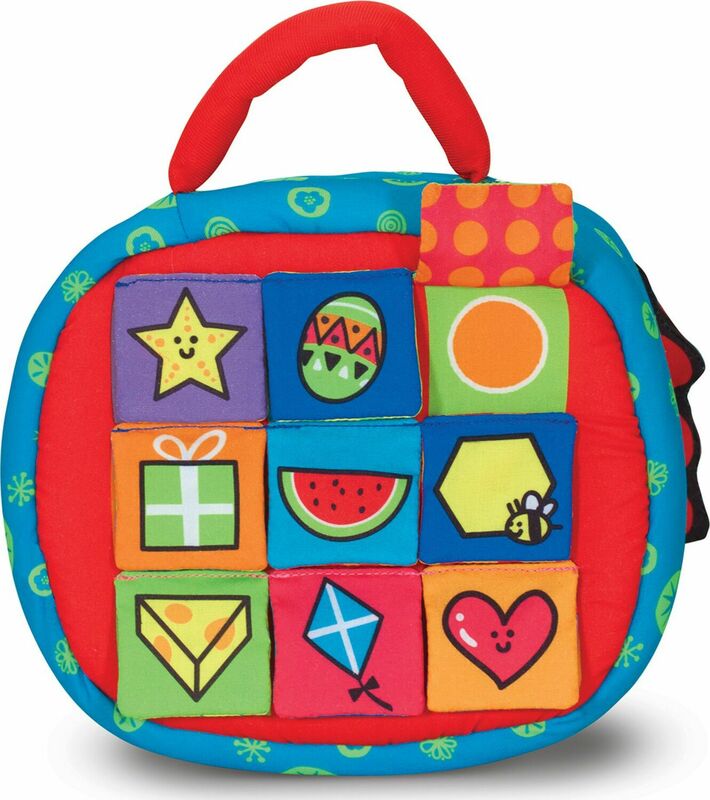 Using nine plastic shapes and the padded carrying case, children can lift crinkly flaps, identify the pictures, match the shapes, and drop the textured blocks through the sorter... then pull the plush dog around the edge to unzip the case and start it all again! 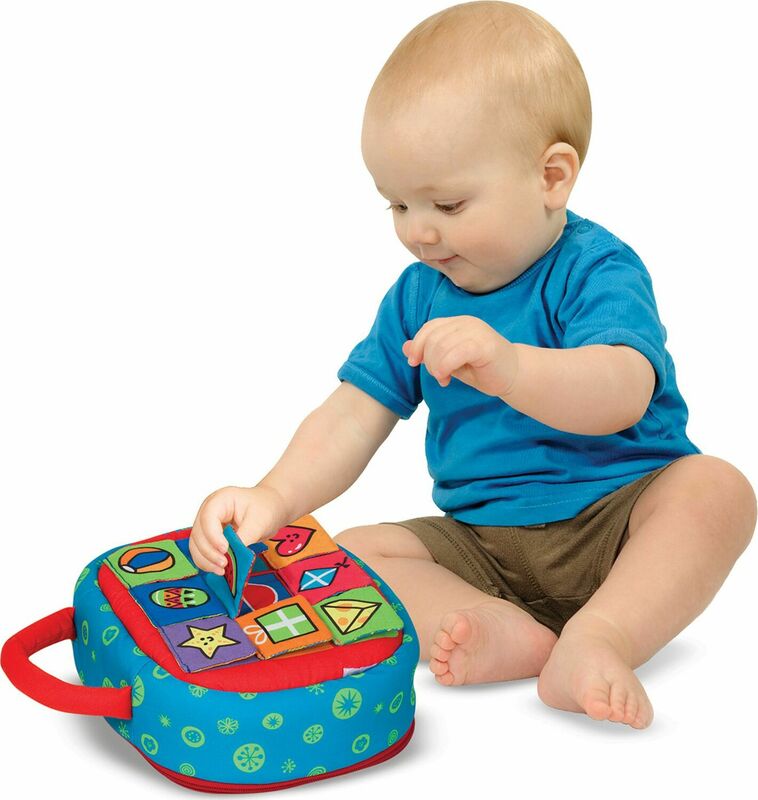 The baby- and toddler-friendly games and learning activities are great for enjoying together or for independent play, and are sure to keep little ones giggling while they learn. 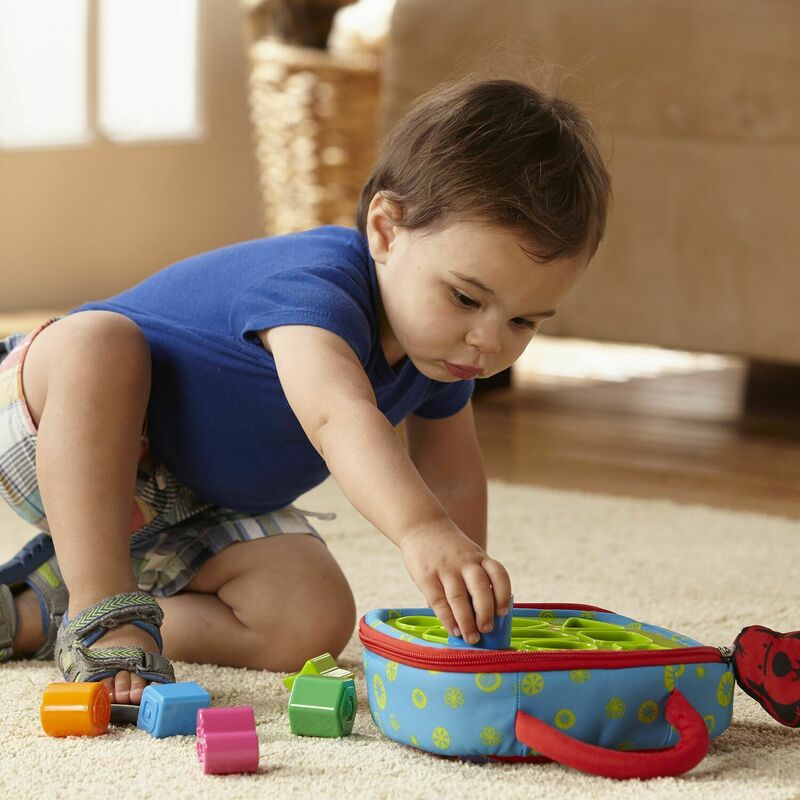 The easy-to-grasp padded handle makes it easy to carry the whole set from place to place - even for crawlers, scooters, and emerging walkers. Measures approximately: 13.50 x 9.75 x 3.75 inches..